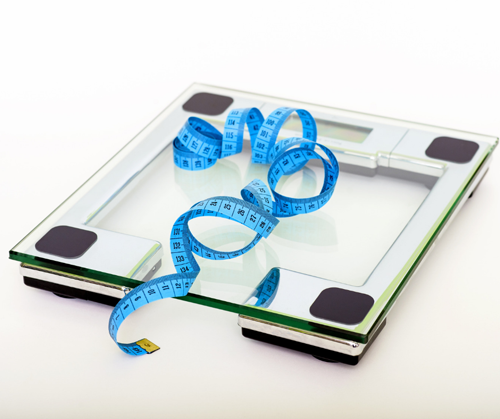 Home / Blog » Why Do Doctors Talk About Weight Loss? Did you know that according to a CDC report in 2017 (based on 2015-2016 data), about 40% of the US population, or 93 million Americans have obesity? Obesity is defined by a Body Mass Index (BMI) over 30. Another 30 million have diabetes & 84 million people have pre-diabetes! Carrying extra weight over time has real and serious health consequences. One note before we delve into that, is that BMI is not the only meaningful measure of our metabolism and health. For many populations, like I have mentioned in previous articles, bad health consequences of extra weight start at lower BMIs. In these high risk populations, monitoring waist size can be extremely important in identifying these people at higher risk. For South Asians especially, but also Japanese, Chinese, Hispanic & people ethnically from South and Central America, the risk of type 2 diabetes, high blood pressure and cardiovascular disease are much higher with less amount of weight gain and body fat. Increases the risk for many cancers, including breast, colon, endometrial, gall bladder and liver. Increased risk for high blood pressure, diabetes and metabolic syndrome (combination of high BP, abnormal cholesterol, increased waist size, increased glucose & inflammation) which all lead to increased risk for stroke and heart attack. Even a weight loss of 5-10 % can help decrease blood pressure, improve cholesterol, decrease inflammation and improve fasting blood sugar. So don’t think that small losses won’t result in any gains in health! When considering a strategy for weight loss, it can be intimidating! It is important to find a solution that you will be able to stick to in the long-term. Remember to start slow, focus on what you are eating (and drinking- sugary drinks are a no! ), get help from your doctor or someone like myself who specializes in medical weight loss, and be monitored closely if you have health conditions like diabetes, high blood pressure, kidney, liver disease or heart disease. Often lifestyle changes alone will not be enough if you have other health conditions affecting your weight and it is important to be evaluated for these conditions. Options for treatment can include medicines that treat metabolic disorders like thyroid problems, insulin resistance, weight loss medications, non-surgical procedures and surgical procedures like gastric bypass surgery. So make a decision for your health, get evaluated and get help to guide you to a healthier weight, and a healthier life!